It would be useful if every news profile on Beto O’Rourke came with a warning that you'll need to shower after reading. It’s impossible to get through one without feeling gross. It’s somewhat interesting that a Democratic U.S. Senate candidate is campaigning within a narrow margin behind the ever-awkward GOP Sen. Ted Cruz in Texas, where a Democrat hasn’t won statewide office since 1994. But shouldn’t there be a cap on the number of times people need to be reminded that he’s “cool”? Or that he apparently looks like a Kennedy? 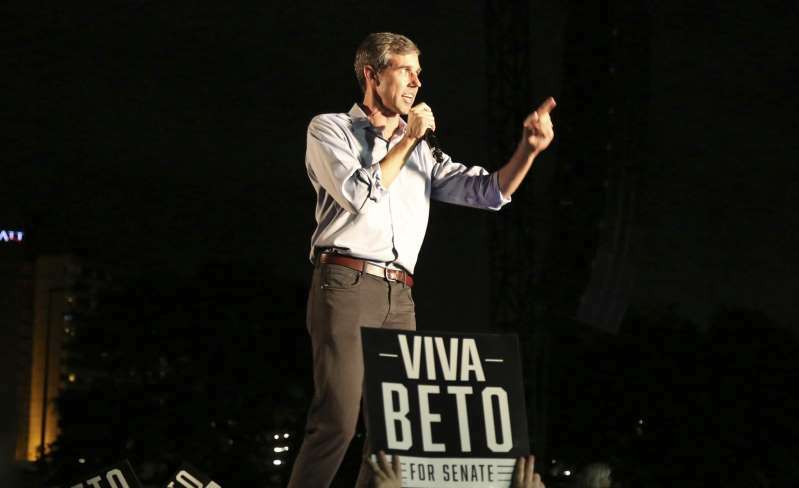 The Washington Post’s Dana Milbank gushed in a column Monday over Democratic voters’ “Betomania” and compared O’Rourke’s campaign with great originality to Robert Kennedy. The Times unfortunately found no space to describe anything about O’Rourke’s policy positions, which includes single-payer healthcare, other than a bit about “family planning clinics,” which is code for O'Rourke being pro-abortion. The Washington Post can hardly contain itself. In yet another profile on Aug. 31, Post reporter Jenna Johnson beat it into everyone's heads how sensitive O’Rourke is. The Texas Senate race might be a close one. Hey, any guesses on who reporters want to win?